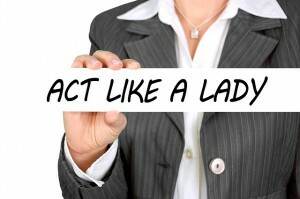 Among top business managers women are still a rare sight. The reasons are complex and subject to heated debates. One controversial explanation suggests that a successful corporate manager needs to have “male” attributes and skills such as risk-taking and competitive behavior. Those who should know best what it takes to excel in top executive positions are the managers themselves. A recent IZA Discussion Paper by Aarhus University researchers Tor Eriksson, Nina Smith and Valdemar Smith therefore uses data from a survey conducted among managers to examine gender stereotypes and self-stereotyping. Based on a large field study of around 3,000 Danish managers at all levels (from CEOs to managers at low levels), the authors calculate two measures of gender stereotyping behavior among the managers: (i) Gender stereotyping with respect to what is takes to be a successful manager and (ii) gender self-stereotypes with respect to own managerial abilities. For both measures the researchers tested for eleven items and distinguished between male (determined, have self-control, willing to take risk, competitive, self-confident), female (helpful, social skills, dialogue-oriented), and neutral items (result-oriented, visionary, innovative), which they could rate on a scale from 1 to 5. Among the results are that male managers tend to be significantly more masculine gender stereotyping than their female peers with respect to the role as a successful manager. However, this is not the case for managers who reach the top. Female CEOs have more gender stereotype attitudes than their CEO male colleagues and significantly more masculine stereotypes than other female managers when controlling for other background characteristics. Companies with a stronger focus on work-life-balance policies tend to have less gender-stereotyping managers, regardless of gender. Moreover, the authors observe “self-stereotyping“, which means that that female managers tend to rate themselves lower than their male peers on the masculine management traits and higher on the feminine management traits. At the same time female managers have stronger beliefs in their “feminine” management skills and weaker beliefs in their “masculine” skills. For the males the authors observe the opposite pattern. An exception are top executives of both genders, who rate themselves higher than other managers on most managerial traits. According to the authors’ estimates, however, beliefs about own ability accounts for less than ten percent of the observed gender difference in the occupancy of C-level positions. So, what could explain the rest of the gap? The results point to one obvious candidate: the gender-stereotype attitudes of the decision makers in hiring and promotions. Here the study finds clear indications of masculine stereotyping, especially among male managers, both at top executive levels (excluding CEOs) and at lower managerial levels. The authors stress, however, that this is pure speculation, as long as no clear evidence is found that this is an important mechanism.